Thanks to Rob Mast for providing the content for this informative blog summary of hydrodistension ultrasound guided injection techniques for frozen shoulders. Rob works in clinical practice in London both in the NHS and privately at Sonoscope. 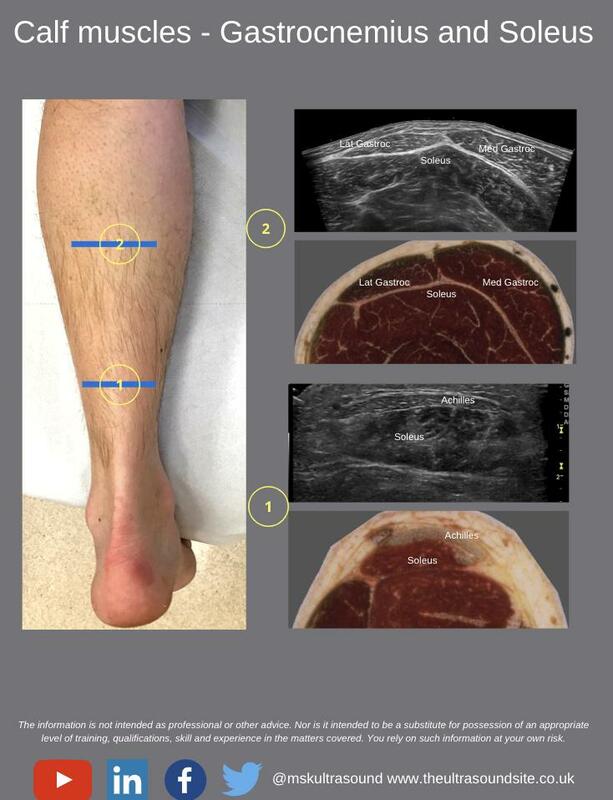 Hydrodilatation, or hydro-distension, is an injection performed under ultrasound (or x-ray) guidance that aims to stretch the tight joint capsule. Local anaesthetic and steroid as well as saline is injected into the shoulder under pressure in an attempt to stretch the capsule and allow movement. Hydrodistention was first described by Andren and Lundberg (1965) who described the injection into the glenohumeral joint under x-ray guidance. When is hydrodistention indicated for frozen shoulder? Common practice (Lewis, 2015) suggests that in the early stages where pain > stiffness, corticosteroid injection should be tried. Once the pain is less severe Hydrodistension could be tried in order to regain ROM. This is because hydrodistension is thought to be more uncomfortable than steroid injection and therefore it is not advocated in the early stages. However a recent (Meng-Ting Lin et al 2018) systemic review and network analysis, found that distension yielded better ER improvement in the short to medium term <6/12 . The earlier stage groups (< 6/12 Hx) showed better response to distension than to steroid injection in terms of ER improvement in the medium term. The superior efficacy of distention over steroid injection was not observed in the later stage group. Does the capsule need to be ruptured? Many researchers and clinicians believed that increasing intra-articular pressure could lead to capsular rupture at the tightest point. 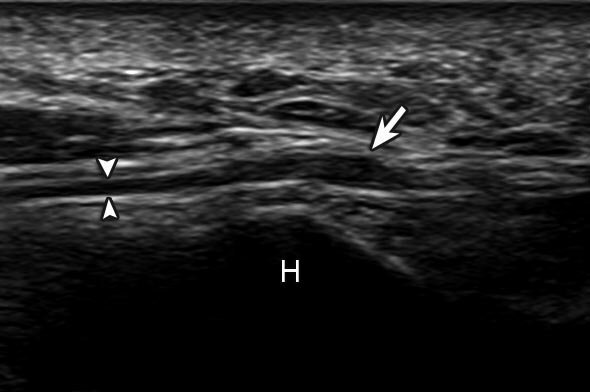 However capsular rupture mostly occurs at the weakest and thinnest areas of the joint capsule such as the subacromial bursa, subscapularis recess or the long biceps tendon sheath (Rizk et al, 1994) rather then the stronger and thicker parts of the capsule which are the main dysfunctional areas in adhesive capsulitis. One small RCT (Kim et al 2011) found that in a head to head comparison of those in whom the joint capsule was preserved (n=20) vs those injected until capsular rupture (n=26) the capsule preserved group showed a significant better range of movement and pain reduction in the short term (3 days post procedure and at 1 month post procedure). Can we differentiate a genuinely contracted frozen shoulder form a pseudo frozen shoulder which is related to muscle spasm? In many cases a true capsular stiffness can be differentiated clinically through examination from a shoulder that is stiff due to muscular spasm. Chung et all (2009) studied Intra-articular pressure profiles of painful stiff shoulders compared with those of other conditions. They found that steeply rising pressure curves are a predominant feature in frozen shoulder. Other conditions showed consistently low flat pressure curves. Inability to access the joint/ fluid collection without traversing inflamed or infected superficial tissues because the needle could infect a previously sterile joint, Systemic bacteraemia/ infection, Uncontrolled bleeding disorder / anticoagulant therapy. Due to the volume injected there will be a pressure effect as the contracted joint capsule is an enclosed space in which a volume is injected. The use of local anaesthetic inside the joint space reduces the discomfort. For some patients the pressure effect is very uncomfortable and the procedure might need to be terminated before capsular rupture. For many others there is discomfort but no pain. Often times if the joint capsule does rupture it can be experienced as a relief. Is it possible to change the biomechanical properties of a contracted joint capsule through the pressure effect? Koh et al (2010) showed that there is evidence suggesting that repeat hydrodistension injections (3) up to maximum pressure without capsular rupture can lead to reduced capsular stiffness and enlarged volume capacity resulting in improved range of movement and reduced pain levels. How does hydro-distension compare in terms of its effectiveness with normal steroid injection? Three systematic reviews on the efficacy of hydodistensiion injections vs normal steroid injections have been published in the last two years. Meng-Ting Lin et al (2018) found that in the short and medium term hydrodistension was better in improving external rotation than steroid injection alone. Catapano et al (2017) found that hydrodistension potentially expedites recovery of pain free range of movement. Andrén, L. and Lundberg, B.J., 1965. Treatment of rigid shoulders by joint distension during arthrography. Acta Orthopaedica Scandinavica, 36(1), pp.45-53. Catapano, M., Mittal, N., Adamich, J., Kumbhare, D. and Sangha, H., 2018. Hydrodilatation With Corticosteroid for the Treatment of Adhesive Capsulitis: A Systematic Review. PM&R, 10(6), pp.623-635. Chung, S.G., Lee, K.J., Kim, H.C., Seo, K.S. and Lee, Y.T., 2009. Intra-articular pressure profiles of painful stiff shoulders compared with those of other conditions. PM&R, 1(4), pp.297-307. Kim, K., Lee, K.J., Kim, H.C., Lee, K.J., Kim, D.K. and Chung, S.G., 2011. Capsule preservation improves short‐term outcome of hydraulic distension in painful stiff shoulder. Journal of Orthopaedic Research, 29(11), pp.1688-1694. Koh, E.S., Chung, S.G., Kim, T.U. and Kim, H.C., 2012. Changes in biomechanical properties of glenohumeral joint capsules with adhesive capsulitis by repeated capsule-preserving hydraulic distensions with saline solution and corticosteroid. PM&R, 4(12), pp.976-984. Lewis, J., 2015. Frozen shoulder contracture syndrome–Aetiology, diagnosis and management. Manual therapy, 20(1), pp.2-9. Lin, M.T., Hsiao, M.Y., Tu, Y.K. and Wang, T.G., 2018. Comparative efficacy of intra-articular steroid injection and distension in patients with frozen shoulder: a systematic review and network meta-analysis. Archives of physical medicine and rehabilitation, 99(7), pp.1383-1394. Rizk, T.E., Gavant, M.L. and Pinals, R.S., 1994. Treatment of adhesive capsulitis (frozen shoulder) with arthrographic capsular distension and rupture. Archives of physical medicine and rehabilitation, 75(7), pp.803-807. Wu, W.T., Chang, K.V., Han, D.S., Chang, C.H., Yang, F.S. and Lin, C.P., 2017. Effectiveness of glenohumeral joint dilatation for treatment of frozen shoulder: a systematic review and meta-analysis of randomized controlled trials. Scientific reports, 7(1), p.10507. Would you like to learn how to perform this injection technique?